Talking to your loved ones about their wishes for end of life care can be difficult, awkward, and something you REALLY don’t want to do. I know firsthand what a powerful phrase that can be...because in my situation, I wasn't able to say it. So WHEN should I have these conversations? Need some help in how to frame the conversation and what questions to ask? Check out The Conversation Project, an organization dedicated to helping people talk about their wishes for end-of-life care. Their original Conversation Starter Kit is a useful tool to help people have conversations with their family members or other loved ones about their wishes regarding end-of-life care. Their Starter Kit has been translated into several languages, and they have developed additional Starter Kits. All are available to download for free. Below is a video The Conversation Project released last week that drives home these issues, and gives some great examples on how to approach these difficult conversations. I think it's legitimately the greatest gift you can give your family this holiday season. Do you need some help getting your own items in order during (or just after) the holidays? Reach out and schedule your complimentary 20 minute call! Have you had a conversation with a loved one recently? Or are preparing to do so over the holidays? Share your wins, challenges, or any questions below! Having conversations about end of life wishes is hard, but it's the greatest gift you can give yourself and your loved ones. 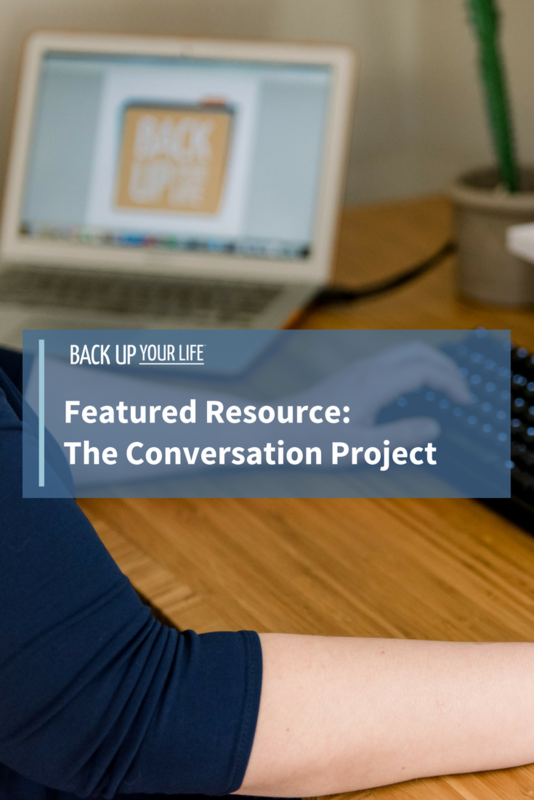 Check out the great resources of The Conversation Project, including their Conversation Starter Kit.